UK: Our Lungs Vs. Lobbyists -- Less Than 48 Hours Left! Big Tobacco spends millions on hip package design to hook our kids, but a new UK policy could save lives and set a new global standard. Send an urgent message to support plain packs before the government consultation closes in just 48 hours! A new initiative could curb teen smoking by making it harder for Big Tobacco to turn our kids into addicts, but the powerful cigarette lobby is working overtime to stub out this life-saving plan. But if we act together in the next 48 hours, we can smoke them out and protect our children. The Ministry of Health has opened a public consultation process seeking views on tobacco plain packaging, but lobbyists representing Marlboro, Camel and Benson & Hedges are throwing everything they have at our politicians to block the initiative. Let's hit back with a mega-mandate of our own: protect our kids' health, not the interests of the global tobacco lobby. We only have 48 hours left before the consultation closes. If enough of us support Health Secretary Andrew Lansley now, we can strengthen his hand to push the plan to make cigarettes uncool for teenagers by selling them in plain, non-branded packs. Click here to send him an urgent message in support of plain packs -- and then tell your friends to join in and send a message too! With smoking deaths worldwide tripling in just the last ten years, public health experts say that selling cigarettes in plain packs is one of the simplest ways to keep young people from picking up the habit. New studies from Australia, where the first plain pack law in the world was passed last year, are proving this right. To replace the more than 5 million customers their products kill every year, tobacco companies are doing everything they can to recruit new smokers, and plain packaging threatens their ability to reach their most coveted market -- young people. Tobacco companies are luring teenagers, and particularly young girls, with popular brands repackaged to look like lipstick containers, and introducing new products like mints that can be hidden from adults. Australia has led the way and will become the first country to ban on-product advertising in December, despite a massive lobbying campaign by industry to kill the measure. Click here to do the same in the UK, and advance the global movement to stop tobacco from advertising to our children! From loggers in the Amazon to Murdoch trying to grab our media, millions of Avaaz members have confronted the world’s most powerful corporate interests and won. 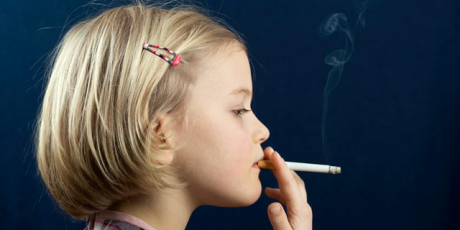 Let’s join together again to keep tobacco companies’ deadly smoke out of our kids’ lungs.